Herbal Magic is marketed as a weight loss plan for both men and women. In fact, the company is a weight reduction and nutrition franchise which has more than 350 branches across Canada. 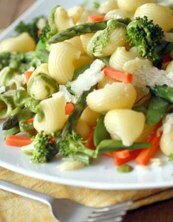 The weight loss plan encompasses everything from diet supplements, to face-to-face counselling and grocery shop foods. There are stories of success displayed on Herbal Magic’s official website. Regrettably, no free trials of the supplements are given. The price of membership rather surprisingly is not stated on the official site. 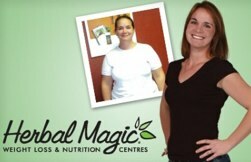 Herbal Magic was founded in 1996 by Dieter Decker, who opened his first weight loss and nutrition center in London, Ontario. There are more than seventy supplements available on Herbal Magic’s site. Among these are Cellulite Treatment, which is meant to lessen the visibility of cellulite and stimulate collagen ($65.45), C.L.A, which lowers body fats ($43.95), Chromagic, which enhances muscle tissue, sustains blood sugar and helps with weight reduction ($27.50), Formula S / E, which quells appetite and bolsters levels of energy ($62.15), and Formula S / B, which reduces hunger pains, boosts metabolism and lowers the body’s absorption of sugar ($50.33). These weight reduction products do not seem to be provided with a refund guarantee. Herbal Magic’s official website promotes a regular workout regime and a sensible diet. Furthermore, they provide a plan especially for diabetics, and another plan for children. Herbal Magic tries to be a weight loss plan that will be suitable for women, men and children who need to shed excess pounds. In contrast to numerous other systems for weight loss, Herbal Magic combines online help with fitness routines, dietary supplements and recipes that can be made from grocery shop foods. Every supplement from Herbal Magic seems to be easily available for sale via the website. There does not seem to be any proper clinical proof displayed on the site to back-up its general effectiveness. There are stories of success displayed on the official site. Regular exercise and healthy eating are promoted on the Herbal Magic plan. Every Herbal Magic supplement can be conveniently bought using the official site. No scientific data to support the company’s claims is mentioned on the official site. Herbal Magic appears to demand quite dramatic changes in lifestyle, that many dieters might not like or be able to implement. Herbal Magic Centres seem to be available solely in Canada. Some of Herbal Magic’s supplement ingredients might not be suited to some people. The weight reduction system is original in some ways. On the positive side, this diet plan promotes regular exercise and a healthy diet. Nonetheless, many dieters might dislike the concept of a weight loss plan which demands so much effort. Overall, the system does include a “healthy” lifestyle and dietary supplements , but it might be a good idea to look at some other plans or products that are presently available initially. The plan seems to be accessible only to people who live in Canada. Weight loss plans such as this one do tend to suffer from over complication and the cynical may suggest that it is not in the company’s best financial interest to ‘lose’ customers though its products speed of efficacy. If you want to stick some the concept of naturality while adopting a more simplistic approach Raspberry Ketone supplements should be of particular interest. Raspberry Ketone is the lastest fat burning supplement to arrive in Canada – it is more than a passing fad, it looks here to stay. 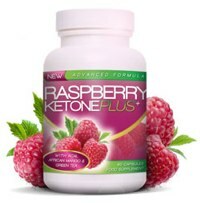 Raspberry Ketone has been analysed, discussed and debated by the worlds leading dieticians.